The active volcano on Vanuatu’s Ambae island has once again begun spewing out ash and harmful smoke, and Vanuatu’s government is now looking into acquiring land to permanently resettle the island’s 13,000 residents. The future of the people of Ambae has been under threat since late last year when eruptions from the Manaro volcano prompted an island-wide evacuation. 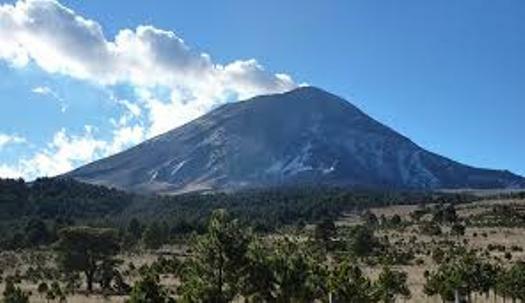 While residents were allowed to return to their homes after the volcano stabilised, ashfall has remained a problem and for the past three weeks the government has been in negotiations to relocate the worst affected villages in west Ambae. Government spokesman Hilaire Bule said a shift in wind direction brought on by Tropical Cyclone Hola last month has dramatically increased the impact of the ashfall. With the deluge of volcanic debris spreading across the island, the case for permanent relocation of the entire population has become stronger than ever. The government is meeting with chiefs from the nearby islands of Maewo and Pentecost to discuss the possibility of acquiring land for resettlement. Mr Bule said evacuation is not mandatory for Ambae residents, however that could change in coming weeks. “If people want to leave the island it will depend entirely on the people of Ambae, but it is not compulsory,” he said. Photos from Ambae showed villages and forests covered in a heavy layer of ash, food gardens destroyed and water sources polluted. The humanitarian organisation Rotary International recently spent more than $450,000 upgrading the island’s hospital, and they have stepped in to help in the current crisis. Chairman of Rotary District 9910 on Norfolk Island, Lindsay Ford, said against the backdrop of massive crop loss and contaminated water supplies, they have arranged for 400 refillable 20 litre fresh water containers to be dispatched to Ambae. The extent of the ashfall has raised concerns about the health risk to residents, and Mr Ford said he had received reports of people dying. “We’ve been notified that four people have died on the island in the last couple of days as a result of the volcano and the acid rain,” he said.